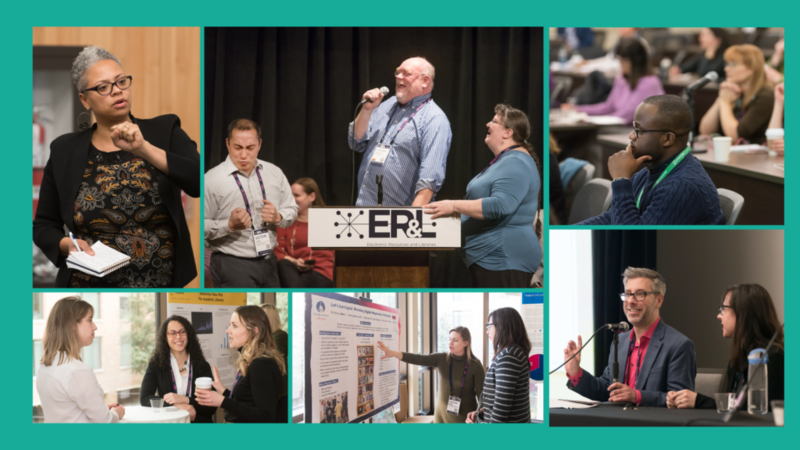 For 15 years, ER&L has convened a conference and online learning opportunities to support the improvement of the way we collect, manage, maintain, and make accessible electronic resources. As technology and our approach to it changes, iterates and improves, we know our important work is never done. 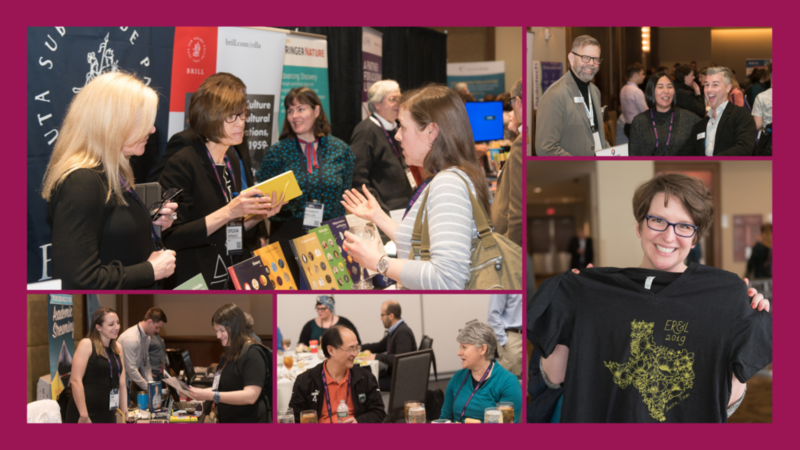 At ER&L, we bring together the many library and industry roles together in a thoughtful, collaborative and education-packed conference. ER&L is friendly niche conference made through the efforts of a fleet of libraryland volunteers and a small but mighty team led by our librarian founder. With a focus on a comfortable and inclusive environment with ample opportunities to network, ER&L is a great way to get to know the ER&L community in a relaxed Austin, Texas setting. If your focus is solely on tactical skill building, ER&L is the place for you. Flanked with pre- and post-conference workshops and filled with over 100 peer-reviewed sessions, deep-diving seminars, and sharp short talks, ER&L offers attendees the ability to gain practical advice, develop lists of new tools and resources and deepen understanding on challenging topics through case studies and peer presentations. If e-resources responsibilities are new to you, stay close to the ER&L 101 learning thread that cuts across all of our conference tracks. ER&L 101 learning thread weaves among the tracks in foundational areas of librarianship (such as licensing, ebook management, troubleshooting) or in emerging but important topics starting at an introductory level. In 2019, over 500 libraries were represented among the attendees. Over 2,500 attendees have attended ER&L virtually since 2011. Not being able to be in Austin in person doesn’t mean you cannot attend ER&L. Library professionals and campuses from 22 countries on 6 continents participate in ER&L via the Online Conference. Many attendees watch from home; some share group access with library staff and students; others hold virtual ER&L conference viewing parties. Over 150 companies around the world have exhibited at ER&L over the past 15 years. ER&L is a high concentration of engaged, smart and active buyers with a lot of feedback to share. Vendors who have been at ER&L know that niche conferences provide vendors with more direct contact to their current and prospective customers. Many vendors are participating as presenters, as well as exhibiting/ sponsoring at ER&L. Does your role intersect with e-resources at the library? You belong at ER&L. If you’ve been newly assigned e-resources management responsibilities, you belong at ER&L. 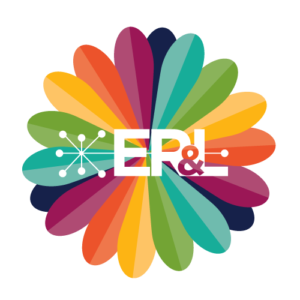 If you’re a library consultant or library professional working in and around e-resources management and technical services, you belong at ER&L. If you are a vendor, service provider or publisher, you belong at ER&L. Contact us @ hello@electroniclibrarian.org to be a part of our 15th Anniversary Conference, March 8-11, 2020 in Austin, Texas.